It's no secret that I am a massive gaming nerd and fan of video games or anything nerdy in general, I love everything about gaming and the escape it offers when I need a break from reality. With this in mind I've been looking forward to this years E3 for months and months now, one of my favourite times of the year! For those of you who don't know, E3 is a yearly conference where game developers can show off what they've been working on and keep you all informed on the big updates to gaming, so for someone who lives for finding out about the upcoming games and seeing what's on offer, this is a super exciting thing for me. I was even more excited than usual for E3 this time as it's the year after the release of all the next gen gaming consoles (PS4 and Xbox One), which means information on brand new games for these consoles and the future of gaming! So excited in fact that I've decided to do a two part post to share with you all the games that I've added to my wishlist after finding out more about them at E3. 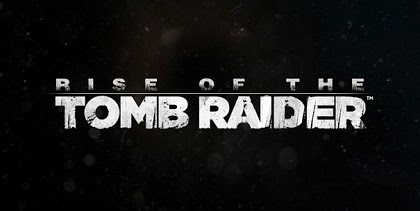 One game franchise that I've played since I was young and across my various consoles over the years has been Tomb Raider. It's a gaming classic and everyone should have played at least one of the games at some point if they own a console themselves, if not, where have you been?! It recently underwent a total remake and was given a new, modern look and different game play style. You play as a young Lara Croft as she's just starting out with her exploring and general Tomb Raider-ness instead of an experienced Lara. Although the game wasn't great I still really enjoyed it so I was intrigued when I saw the teaser trailer for it at the Microsoft conference as I hadn't actually heard anything about another game. I'm looking forward to trying this out as I want to continue with the 'new' story and see what young Lara gets up to and how they'll eventually link it up with the older games and the Lara that we all know and love. Tom Clancy's The Division is probably the game that I am most excited for, I've been following it's development since I first heard about it. It's an open world multiplayer RPG set in a decaying New York City as a direct result of a weaponized virus which wiped out the majority of the population. 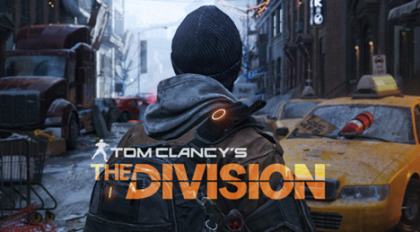 You play as part of The Division who's goal is to save what still survives and attempt to restore society. What I'm most intrigued about with this game are the multiplayer aspects to it and how well I can play it with friends, from what I've seen in the gameplay demos it looks like a game that would be amazing to play involving a few mates with who you can spend time discussing your plans and how you want to go about things. The Division looks unique and unlike any other game that I've played so far so I have my fingers tightly crossed that it's going to meet my high expectations or be even greater than I expect! I've never played any of the other games in the Rainbow Six series but I've always heard good things about them as they focus more on stealth, teamwork and tactics rather than straight up shooting everything in sight. The series is based on Tom Clancy's novel, Rainbow Six, about a counter-terrorist unit named "Rainbow". The series has been around since the days of the Nintendo 64, Dreamcast, and original Playstation/Xbox which is a pretty impressive feat in my opinion. 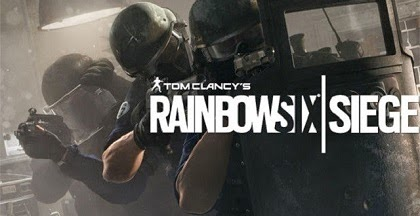 Siege is the next upcoming game in the franchise and sticks with the popular Rainbow Six elements of tactics and teamwork, though it now features a heavy multiplayer aspect and destructible environments which always makes for a fun experience! As it was only announced a few days ago at E3 there isn't much information on the game yet but from what we saw of the gameplay demo it looks promising and I can't wait to play it myself. Destiny is a science fiction upcoming first-person shooter set 700 years in the future, it's being developed by Bungie who also created the extremely successful Halo franchise. This is another game that I've been following the development of since it was first announced and will probably be one of the first games that I buy when I get a new console. You play as a Guardian, tasked with investigating and destroying hostile alien forces threatening to eliminate the remainder of humanity. Similar to games such as World of Warcraft, Skyrim or Mass Effect, you get to choose a class and race for your character which are heavily inspired by other science fiction or fantasy franchises like Star Wars and Lord of the Rings. This seems like it would be another great game to play on co-op as you can team up with friends and make your own 'fire-team' and then join up with other fire-teams to participate in public events where you can defend against enemies and earn loot. I'm really looking forward to this game as it seems to be in a similar style to other science fiction games that I love such as Mass Effect and Halo yet it'll still be something new that will feel unique and fresh to play! The Order: 1886 is set in an alternate Victorian London in which an order of Knights descended from King Arthur use advanced technology to protect against half-breed monsters. Personally I think this game has one of the most impressive and interesting plots I've ever heard of, plus it's right down my street as it combines the Victorian era with fantasy and horror elements. You will also apparently be able to interact with 'real-world historical characters' who will help you with quests and objectives that you have to complete, as well as visiting real places and being involved in real events. The Order is going to be a PS4 exclusive so I have a while to wait until I can play it but I'm still eagerly looking forward to it's release and it's definitely one of the main reasons why I want to buy a PS4 as well as an Xbox One. I hope you all enjoyed reading about a few of the upcoming games that I'm excited for, or even better, maybe you now want them too. Let me know in the comments what games you're all looking forward to, I love hearing from other people who are into video games and there's really not enough about it in the blogging community! Nice collection of games.Great blog here with all of the valuable information you have. Keep up the good work you are doing here. 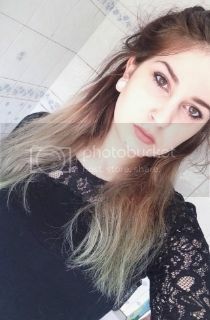 Thank you for sharing such a useful post.